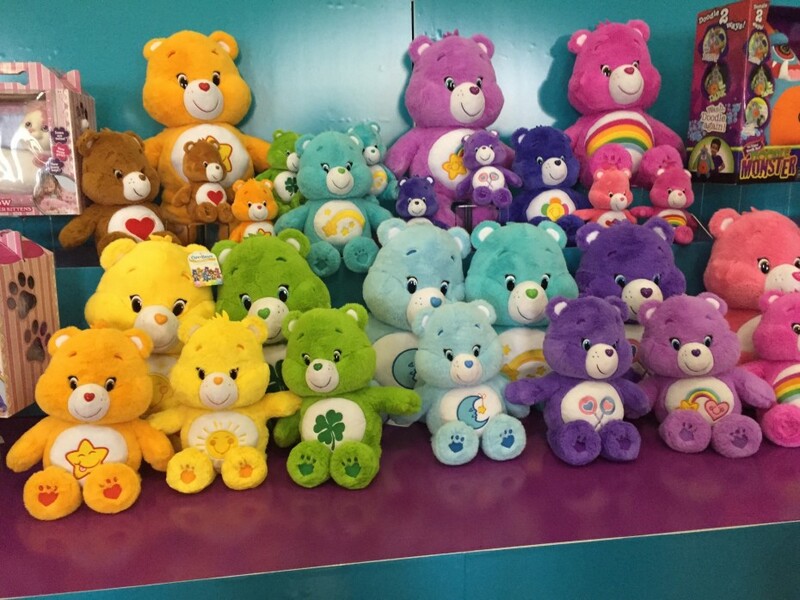 This colorful display of Care Bears adorned the Just Play Toys at Mom Mixer last week. It was such a hit. I still remember when Care Bears came out. I was just a tiny bit too old to actually have one but I totally wanted one! Anyway, I may seriously have to ask Santa to bring one for each of my kids and I may end up getting this as one of them. Of course I was drawn to the green shamrock one being half Irish. 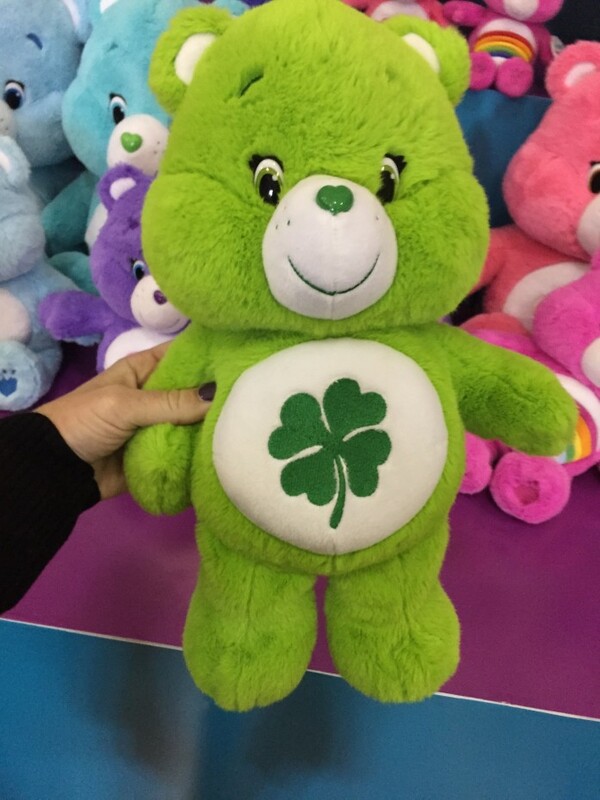 I looked it up and this is Good Luck Bear, who is all about spreading Good Luck to everyone and of course is inspired for St. Patrick’s Day too. Anyway, they are a hot and great gift for the holidays this year! Get your favorite Care Bear for your kids at ToysRUs.com for $17.99.